Leela Residence is one of the residential developments of Pyramid Builders. It offers 2BHK and 3BHK apartments. The project is well equipped with all the basic amenities to facilitate the needs of the residents. Where is Leela Residence located? Reddiarpalayam, a prime residential locality for house seekers in Pondicherry. What are sizes of apartments in Leela Residence? The apartment sizes in the project range from 1460.0 sqft to 1521.0 sqft. 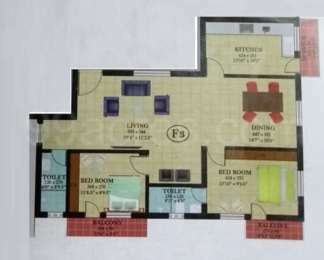 What is total area of 2 bhk in Leela Residence? 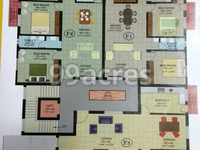 The area of 2BHK units in the project is 1464.0 sqft. What is size of 3 bhk in Leela Residence? The area of 3 BHK apartments ranges from 1460.0 sqft to 1521.0 sqft. How many towers are there in Leela Residence? There are 1 towers in the project, which offer a total of 9 housing units. Does Leela Residence have cricket pitch? The project doesn't offer a cricket pitch.